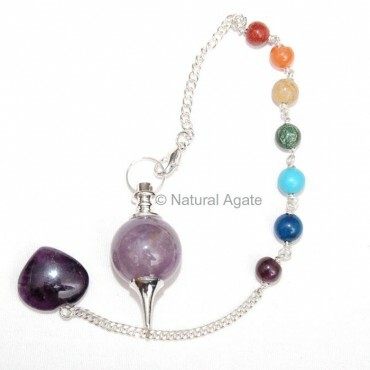 Amethyst Ball Pendulum with chakra chain is a beautiful pendulum and has a small heart-shaped black stone on the other end of the chain. Use it during meditation to connect to the spiritual realm. It can be bought at a fair price from Natural Agate.